The biggest question I have been asking myself since 1985 is “Why didn’t Phantom, Rocker and Slick achieve greater success than what they did? For me, this was a great straight ahead, no frills rock album from a good tight band. The band possessed all the tools to be great. Slim Jim Phantom and Lee Rocker proved they were a great rhythm section when they were in the Stray Cats and were just as formidable in this band. Additionally, Lee has a good singing voice that fits perfectly with the songs. Plus, guitarist Earl Slick shows he’s a great guitarist as he plays what I have always considered the best guitar solo of 1985, (see below). So, why not? 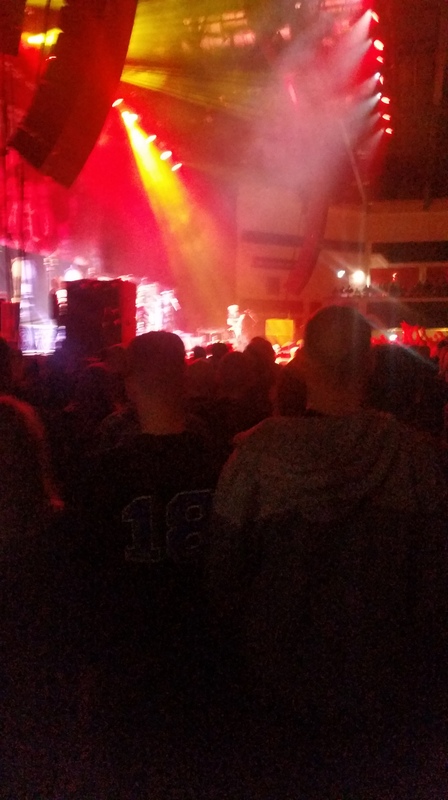 If people don’t remember anything else about Phantom, Rocker and Slick, the one song that they might remember is the hit, “Men Without Shame,” which got a considerable amount of airplay on local radio. I was hooked straight away the first time I heard that song, despite the fact the radio version of the single chopped a good chunk of the guitar solo out of it. Why do they do that? So, you can imagine how I reacted when I heard it in its full glory. The theme of this post is quite obvious by now. I am asking why didn’t Phantom, Rocker and Slick achieve greater success. Everything to do so was present in bucket loads. My only theory to it was that it was down to the categorising and polarisation of music back in 1985. There was no neat little box for trendies or metaheads to put them into and while the music on the album is well played, there is an element of fun to it and society back then wasn’t ready for it. We are all reflecting on 2018 as the year comes to a close. For me, the year has been a roller coaster of triumphs and tragedies. The tragedies being losses in my own personal life as well as some in the music and entertainment world. Although it happened in 2017, the effects of the passing of my mother in law were felt for several weeks into the new year. Then, when I thought Mrs 80smetalman and I had gotten over it, my mother died in early March. Losing both mothers barely two months apart is something I would not wish on any couple. After putting that behind us, my wife’s aunt suddenly died. No one was really expecting it but it was not the way anyone wanted to see the year end. Like 2016 and 17, 2018 has had its share of people we love from the music world departing this world, including two I only just found out about. 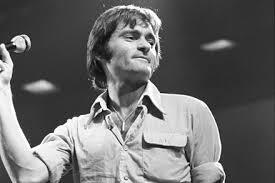 Those were Matt ‘Guitar’ Murphy from The Blues Brothers and former Jefferson Airplane/Starship lead singer Marty Balin. Saying that, the list I found them on did not include Huntress lead singer, Jill Janus, which I’m a little peeved about. Here’s a list of some of the others who passed on. 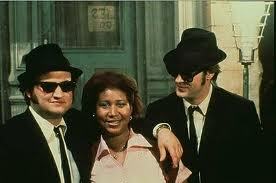 It’s rather ironic that Aretha Franklin and Matt Murphy, they played husband and wife in the Blues Brothers film, both died in 2018. Fortunately, there were many triumphs in 2018 as well. 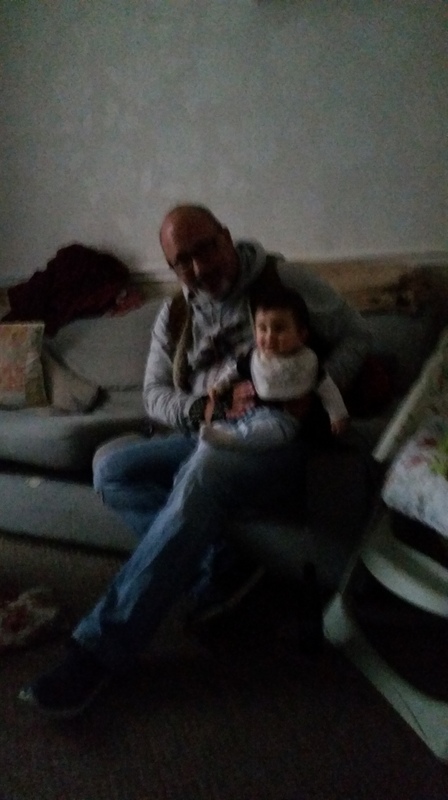 The best of those was becoming a grandfather, thus ensuring a third generation of metalheads in the LeFevre family. In addition, two weeks ago, I got to see my daughter receive her master’s degree, a proud moment. Needless to say, there were a lot of musical highs in 2018 as well. 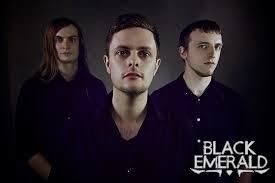 In February, I was invited to the album launch party for the band Black Emerald. 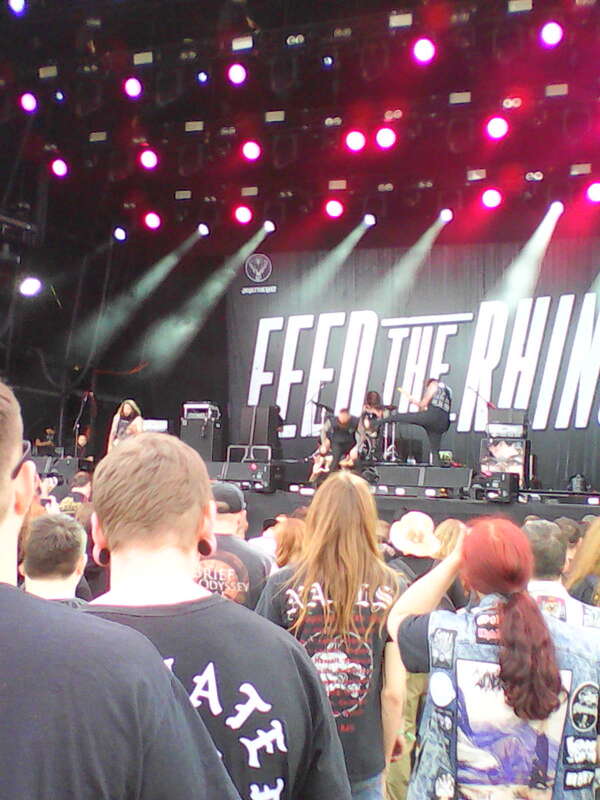 A band I had seen at Bloodstock in 2013 and impressed me so much, I wrote a post as to why they should be signed. Someone must have read it because this year saw the release of Black Emerald’s debut album, “Hell Can’t Handle All of Us. I have listened to the album several times now and it’s brilliant. I hope this is the dawning of great things to come for this band. Although my trip to the US, was due to tragic circumstances in March, I still got to experience what I called “America’s best kept secret” in the form of blues guitarist and singer Hannah Wicklund and her band the Steppin’ Stones. This was another album from this year that I enjoy more with each listen. Hannah wasn’t the only lady in rock to turn my head in 2018. 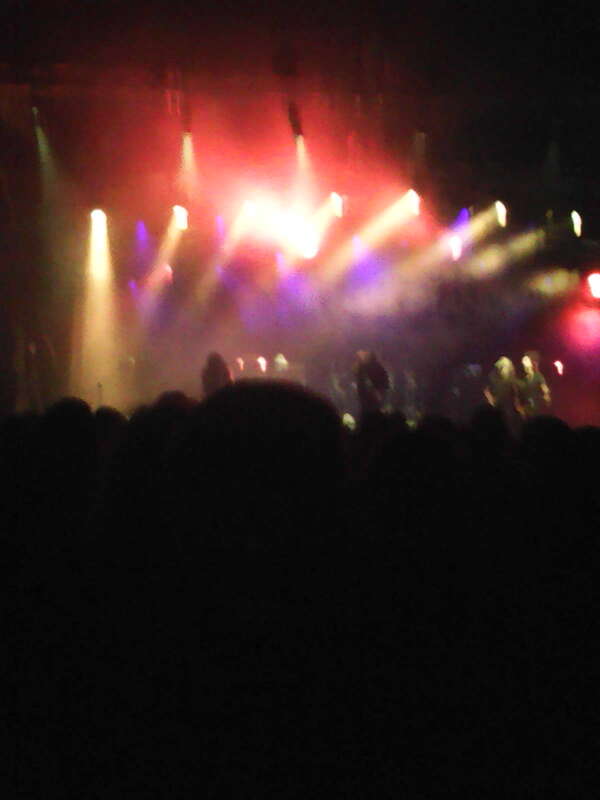 Not long after, I got to experience Lebanese metal maidens Slave to Sirens. Last report I heard, they are working on a full length album and I will definitely be picking it up when it comes out. No year would be complete without going to a music festival or two. 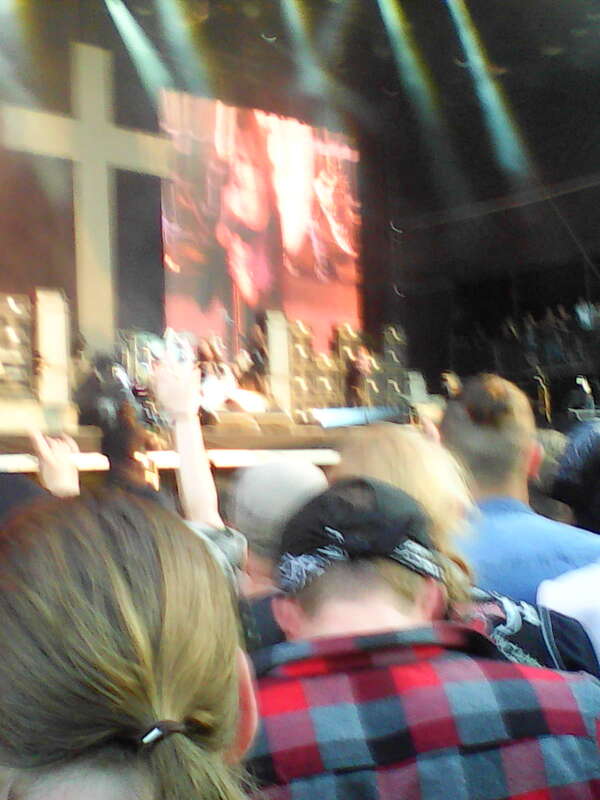 In June, I went to the Sunday at Download where I was awed by the likes of Iglorious, Shinedown, Black Veil Brides, Marilyn Manson and Ozzy himself. 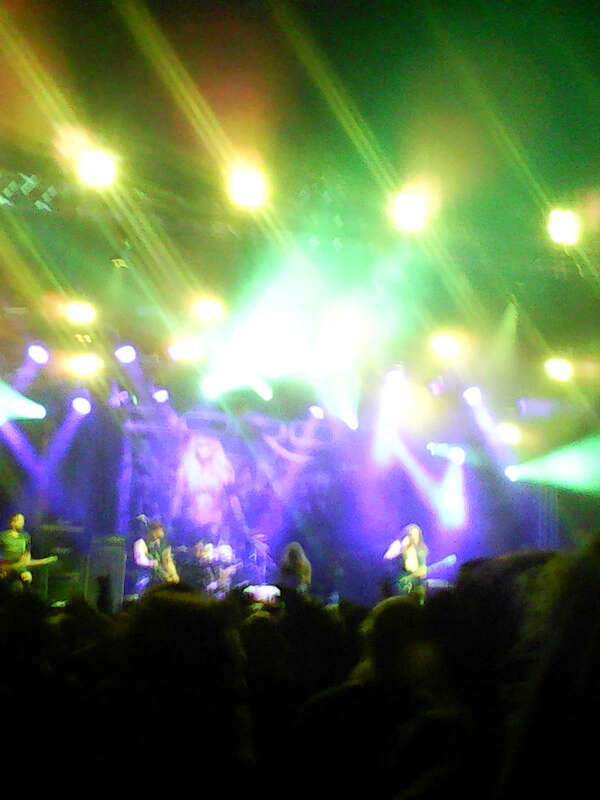 I was also introduced to up and coming new band, Puppy but the best part for me was after a more than thirty year wait, I got to see German thrashers, Kreator. It was definitely a day to remember. 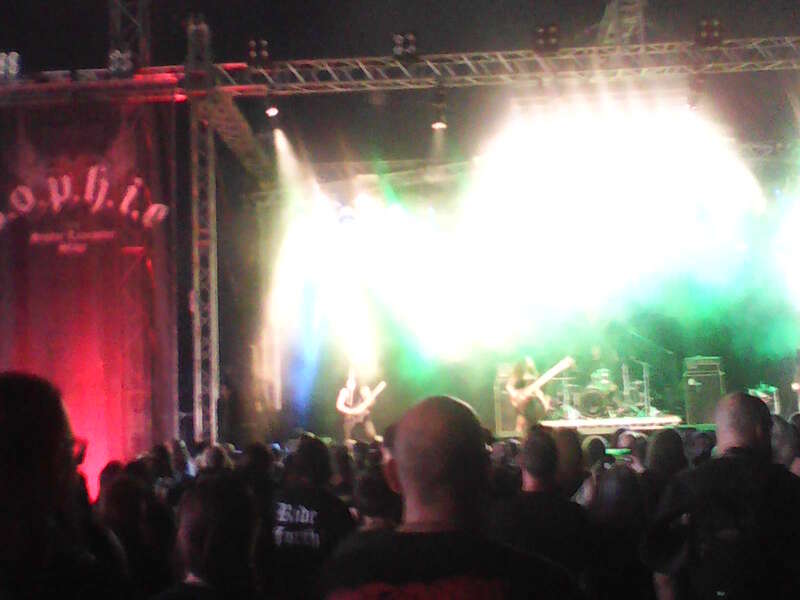 One festival wasn’t enough so in August, I went to Bloodstock for the full three days. Each day brought both the expected and unexpected. 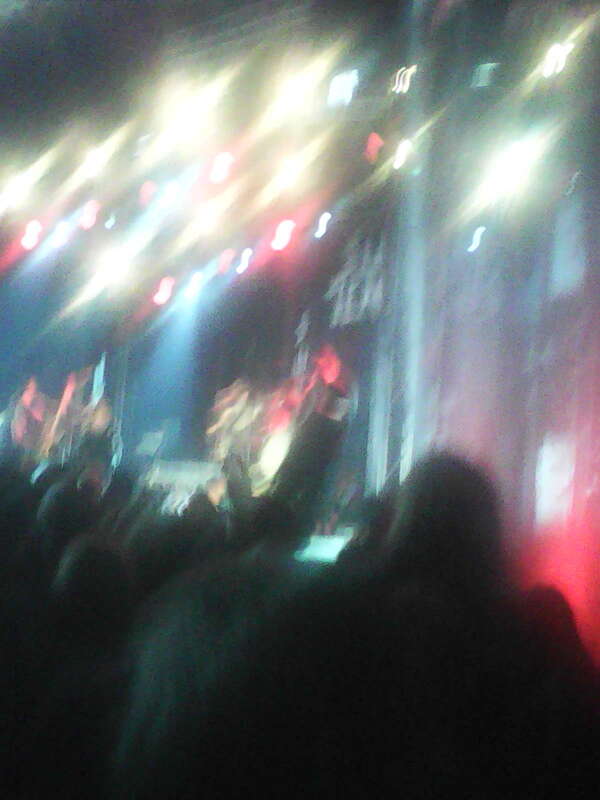 On the Friday, Suicidal Tendencies, Judas Priest and Doro all performed as well as I thought but I was further impressed by Kamelot and Feed the Rhino. 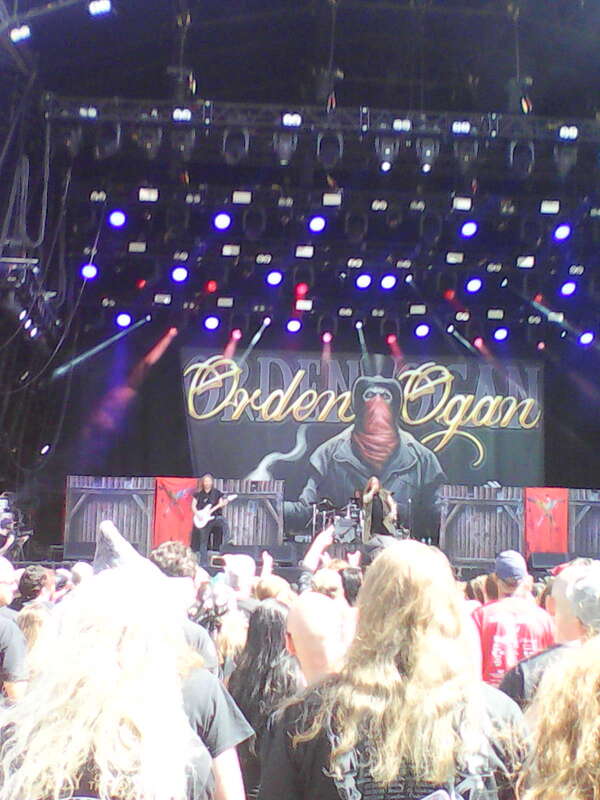 Likewise on Saturday, Gojira proved they earned the headlining slot but I was also wowed by Orden Organ, the pirate metal of Alestorm and Sophie Lancaster Stage headliners Orphaned Land. I am currently listening to Orphaned Land’s new album, “Unsung Prophets and Dead Messiahs” and so far, I’m very much liking what I am hearing. However, you can’t forget Sunday, which could have been called Scandinavian Day as most of the bands were from Sweden or Finland. 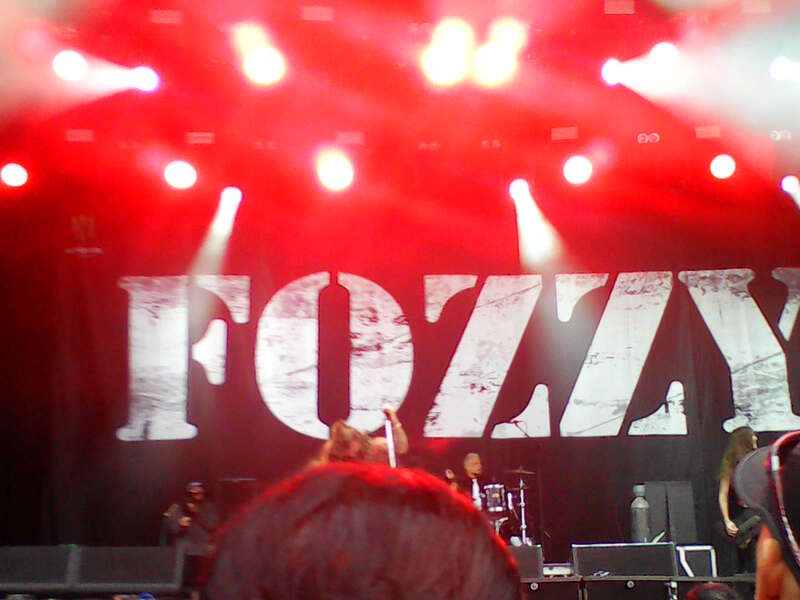 Still, Fozzy was brilliant as always and Mr Big showed they could play Bloodstock and Devil Driver was one big mosh pit. 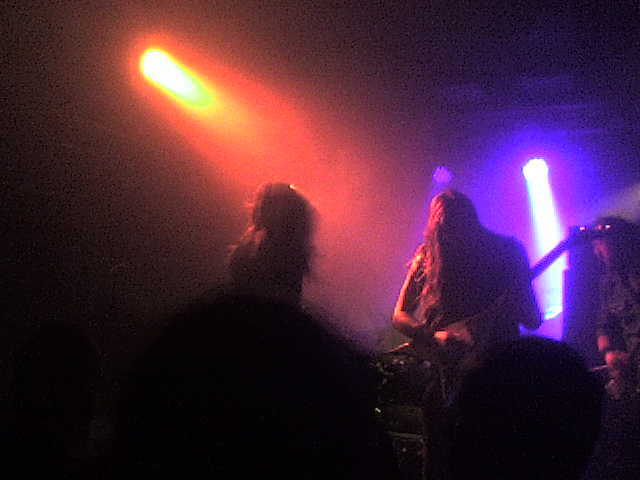 On the other hand, I was very grateful for my introductions to Amaranthe and Nepalese metalers Underside. This was a great way to end my festival career. 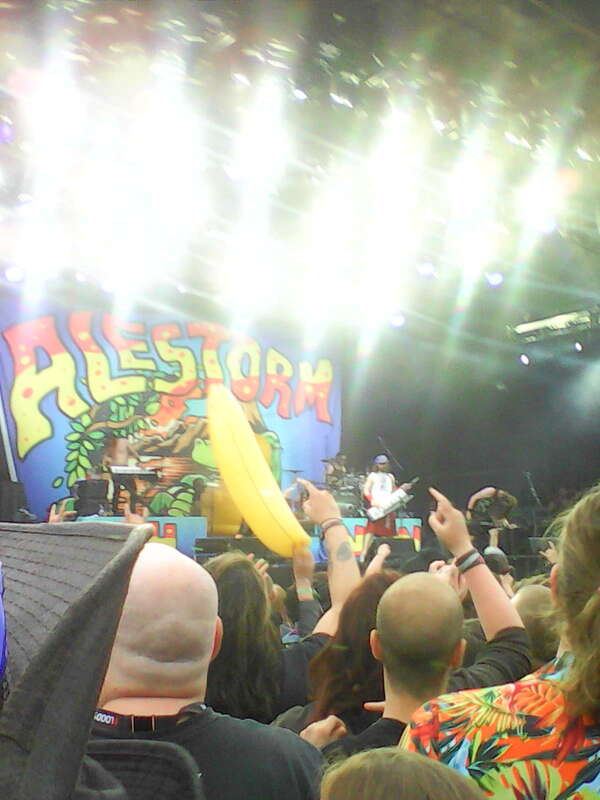 Alestorm on stage with a lot of flying inflatable objects. 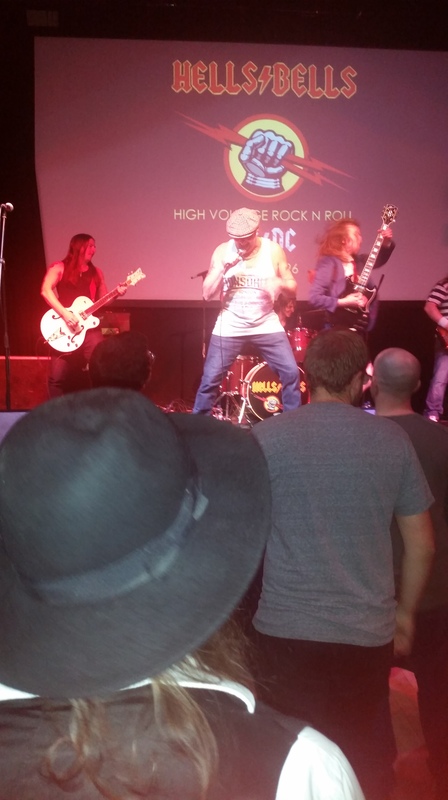 Late in the year, AC/DC tribute band Hell’s Bells made their annual trip to Stroud and were as good as always but the year ended with seeing Slayer, Anthrax and Lamb of God in Cardiff. 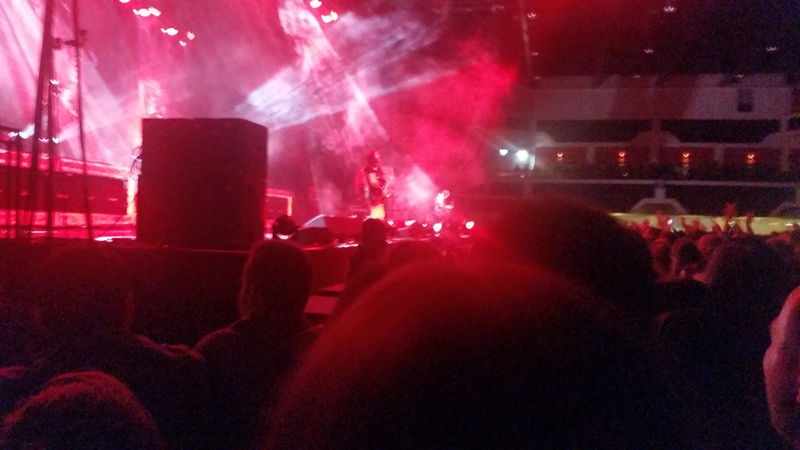 This is supposed to be Slayer’s farewell tour and it was a great night for them to go out on. Yes, 2018 was a year of triumphs and tragedies for me. The important thing is that I got through it with many great memories. Likewise, 2019 is also looking very promising. On the personal side, both of my sons are getting married this year. My younger one in February and my eldest is getting married in December. While I have retired from going to three day festivals, I think I will go to Bloodstock on the Sunday with the Scorpions headlining that day and Dee Snider playing as well. 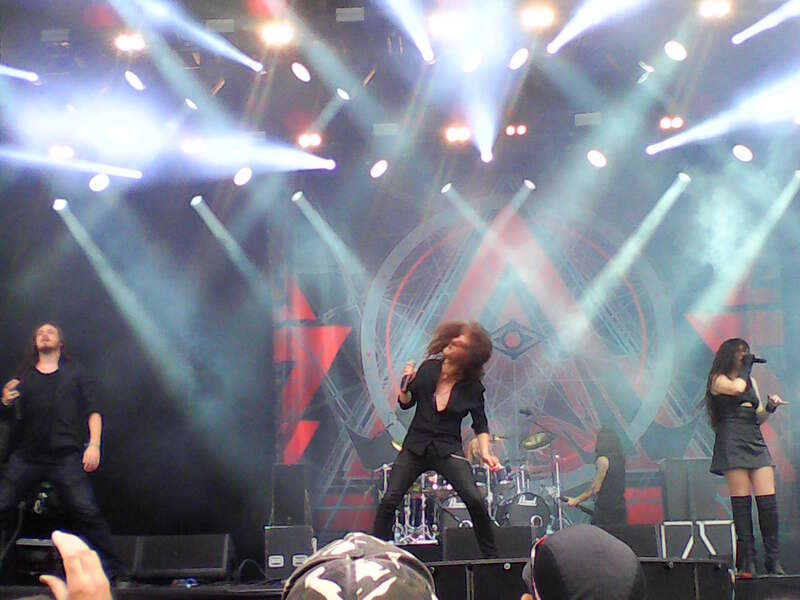 However, the band I want to see most that day is Queensryche. I’m already looking forward. So, I wish all of you a very happy 2019! I look forward to continuing my tour through the golden decade of heavy metal as well as talking about relevant events and I look forward to reading what you all have to say in 2019. Next post: I think I’ll put on some of the music from the bands I mentioned here. 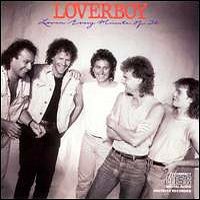 Possibly one of the best musical surprises for me in 1985 came in the form of Loverboy’s album, “Lovin’ Every Minute of It.” After the more keyboard oriented previous album, “Keep It Up,” I thought that Loverboy were heading down the path of more commercialized rock. That meant that one night when I happened to have had MTV switched on and the video for the bouncy, hard rocking title track came on, I was pleasantly taken by surprise. The fact that they rocked things up a bit made me give this album a chance and I was impressed. The first five songs of “Lovin’ Every Minute of It” are true rockers. 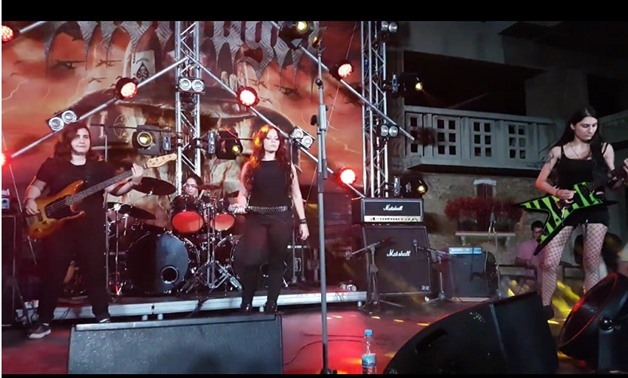 Hell, the third song, “Friday Night” could be a heavy metal song with the way the guitar opens things and how the song progresses after. All I keep thinking was, “Well done, boys!” That track follows on nicely from its predecessors, which include the title track and “Steal the Thunder” holds its own in the hard rock stakes. Even when they go to a power ballad with “This Could Be the Night,” one doesn’t get to thinking that things will go commercial with this one. I have to confess, this is a good power ballad here. The rock party continues further with “Too Much Too Soon,” which is another song which could be taken for a heavy metal song, maybe even more than “Friday Night.” I will point out that Mike Reno does a great vocal performance on that one. With all of the above said, “Lovin’ Every Minute of It” is an album of two halves. After “Too Much Too Soon,” keyboards enter into things. This is not a bad thing although some of the tracks do sound 1980s new wave. “Lead a Double Life” sounds like it could have been used in a mid 80s comedy film soundtrack. “Dangerous” sounds like it could have been a Night Ranger song. “Destination Heartbreak” is a ballad but not as good as the power ballad mentioned previously. What redeems them in my view is that Paul Dean’s guitar can be heard along with all the keyboards and he does rip some really good guitar solos on the songs. In fact, this album could be called Paul’s album due to the way he solos all the way through it. It is a major contributor as to way the album is so good. 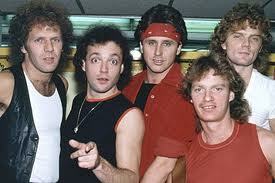 In 1985, I stopped labeling Loverboy as a hard rock band who had sold out and gone commercial. While “Lovin’ Every Minute of It” was still a very successful commercial album, it went double platinum, it also proved that that success could be done without compromising musical integrity. So full marks to the band all around on that. Blast Wikipedia! 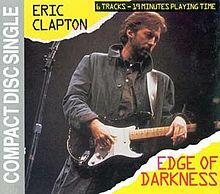 A few months ago, when I posted about Eric Clapton’s “Behind the Sun” album, I saw that in Eric’s discography, this 1985 “Edge of Darkness” album mentioned. Thinking, that it might be some little known live album, I decided to include it in my list of great albums of 1985. It turns out that Eric wrote the musical score for the British television series of the same name. At first, I thought, “Boy, do I feel foolish” but after several listens, I think it is still worthy of an 80smetalman post. Basically, Clapton just went into the studio and did what he did best on the guitar. He just jams away through the six song EP which is only 19 minutes long. That’s no problem for me either because it is 19 minutes of pure guitar heaven. Listening to the opening title track, I am left to conclude that the television show was some horror/mystery/suspense programme. The way the guitar just lays down that sort of vibe, backed up by a piano which makes the entire song sound rather eerie. If that was what Eric was going for, he did a great job. The rest of the album follows along in this vein. There are no fast hard rocking tracks here, just some mood effecting instrumentals. “Escape From Northmoor” stands out a little because of the use of keyboards building up the suspense. Furthermore, Eric’s guitar intro on “Oxford Circus” makes for a good change of pace and lets everyone know that he’s still a guitar God. I have come to the further conclusion that “Edge of Darkness” is a good album to just sit back, mellow out and get engrossed in the music. There are no musical credits listed here so I assume that Eric Clapton played all the instruments himself. One thing I have taken for granted over the years was how many great guitarists or their bands put out albums in 1985. There was Eric Clapton of course and Jeff Beck, plus when I hit the metal portion of 1985, will go on about Yngwie Malmsteen. On top of that, there were offerings from Mark Knopfler and Angus Young. I had also got the added bonus of seeing all of these, except Jeff Beck, live in this year and while Deep Purple’s album came out in 1984, I did see them live in early 1985 so Ritchie Blackmore must be added here too. What a great year it was. 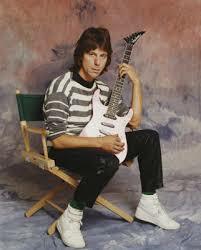 For many years leading up to 1985, I was always intending to explore the work of Jeff Beck. One guy I knew from high school was heavily into him and when I was in the service, one of my fellow marines remarked, “That white boy can really play a guitar.” However for some reason, I never got around to listening to him. At least until 1985 when I heard about this album. 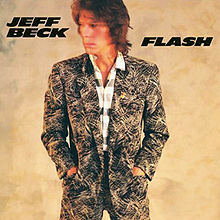 Jeff Beck’s “Flash” album was one of the very few albums I bought because of MTV. The single, “People Get Ready,” which featured Rod Stewart on the vocals got considerable airplay. What I liked about the song was the fact that Rod’s vocals went very well with Jeff’s guitar work although I knew that from Rod’s album from the previous year. However, in this video, Jeff doesn’t pop up in a hotel room to play his guitar solo. Most of the album does conform to what was then a more commercial 1980’s sound although I won’t go as far as to call any track here synth pop. The closest tracks to that are the opener, “Ambitious” but I hear a hint of reggae in that song and the instrumental, “Escape.” One reason I wouldn’t call the latter song synth pop is because Jan Hammer assumes the keyboards duties on that track and he and Jeff make some interesting music. In each of those songs though, he does with a guitar what he does best and flails away with some great licks. The remainder of the album, bar one song, goes more funk. “Stop Look and Listen” and “Get Workin'” are prime examples here and while good, Jeff’s guitar solos make them sound even better. Now let’s talk about my favourite track on the album. The second track, “Gets Us All in the End” is a true rocker in every sense of the word. When I first heard the song, the vocals sounded so familiar that I thought Jeff used a metal singer for the track. In actuality, the vocals are done by Wet Willie singer, Jimmy Hall, who also sings on three other tracks as well. While this is an excellent album, imagine what it could have been if there were more tracks like this one. Another example of if I had paid attention to MTV in 1985, it would have resulted in my missing out on another great album. When the made for MTV video for the title track of Joe Walsh’s album, “The Confessor,” came on, I wasn’t that impressed. Fortunately, I knew of old from his 1981 album, “There Goes the Neighbourhood,” not to judge Joe on the singles. Therefore, I was able to delve into this offering without hesitation and I would have more regret if I hadn’t. 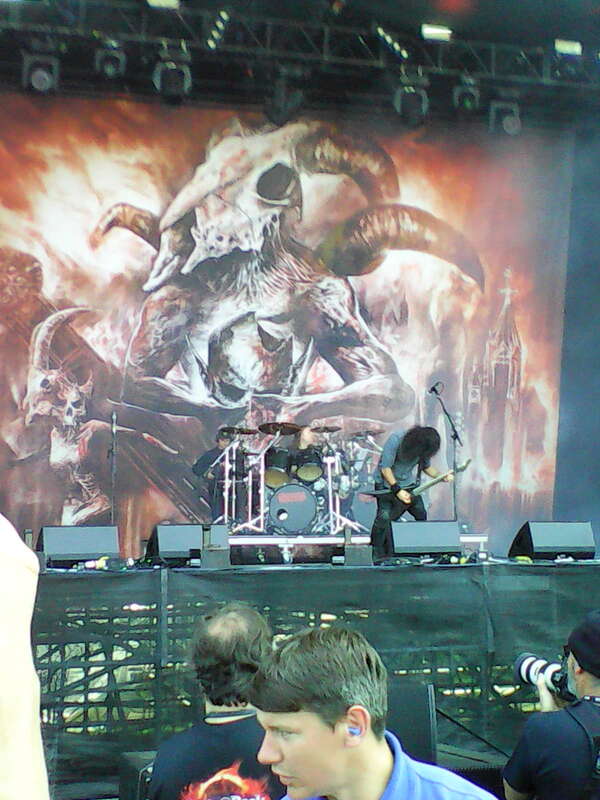 “The Confessor” is an album of three, possibly four parts. The first two songs all have a reggae vibe to it and I have always thought that if Joe wanted to go full on reggae, he was quite capable of doing so. Saying that, each of the first two songs have their own unique stamp on them. The opener, “Problems” might sound reggae through the verses but definitely more hard rock in the chorus. With “I Broke My Leg,” again there’s a reggae vibe to it but Joe throws in some interesting reverb work on the guitar. Those first two tracks make for an interesting hook for the rest of the album. Tracks 3-6 go into more familiar Walsh territory. The guitar work on “Bubbles” reminds me a little of his 1970s classic, “Rocky Mountain Way” and the song itself, sounds a bit more from said decade. “Slow Dancing” isn’t one for actual slow dancing but it has a way out bluesy feel to it with some more interesting guitar work from you know who. The next track, “15 Years,” could be a contender for hidden gem on the album. More harder rock than the previous two and he nails the solo on it. It’s a great blues based rock song. At the end of the second act is the title track which you get in it’s full seven minute glory and not the four minute MTV version. I much prefer that one, especially as you get to hear much more of Joe’s cool guitar work. It starts with a cool cowboy sounding acoustic guitar before going much harder. I can’t think that a certain band from New Jersey got the idea for a similar song on their 1986 album from Joe on this one. If “15 Years” wasn’t hard enough, you will not be disappointed with the next two tracks. “Rosewood Bitters,” a song Joe originally recorded with the Michael Stanley Band. This was my second contender for hidden gem. It’s more of a melodic rock tune with some cool guitar hooks. However, I think I’ll have to go with the full rock tune, “Good Man Down” for actual hidden gem. This song is a belter and Joe really rocks out on it, guitar solo and all. 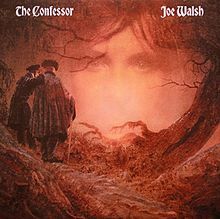 Critics rubbished “The Confessor” saying that Joe Walsh was a decade behind the times. I guess they expected him to use synths all throughout the album. What do they know? The answer is that in spite of the critics, the album sold pretty well and I can certainly understand why. Who cares if it was too 1970s for some people? I don’t. What is cool about this live album is that the song selection has offerings from each of the studio albums. This includes the “Beatin’ the Odds” and “Take No Prisoners” albums when Jimmy Farrar handled the vocal duties. 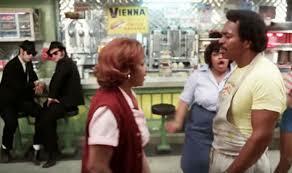 I have to say that Danny Joe Brown does a good job on both of the songs “Beatin’ the Odds” and “Bloody Reunion.” Speaking of Danny Joe, the band even plays a track, “Edge of Sundown,” from his one album with the Danny Joe Brown Band. 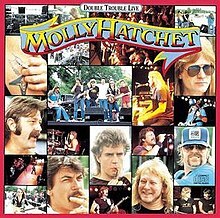 Therefore, this album has a great diverse mix but Molly Hatchet shines on each and every song. 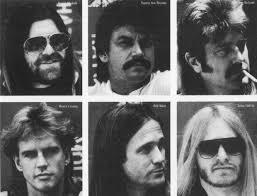 Of course, there are all the familiar Molly Hatchet classics we have come to love. “Flirtin’ With Disaster,” “Bounty Hunter,” “Fall of the Peacemakers,” “Stone In Your Heart,” “Satisfied Man” and “Boogie No More” are all played brilliantly live. You’d expect nothing less. On top of that, it was only natural they opened with “Whiskey Man” but the song where they really go above and beyond is “Gator Country.” That has always been a cool song but live, guitarists Duane Roland and Dave Hlubeck go absolutely nuts and turn it into a great jam session, well done lads! When I first heard the album, I was slightly perplexed as to why they would cover Lynyrd Skynyrd’s legendary “Freebird.” After all, most Southern rock bands have their own answer to the Skynyrd classic. Blackfoot has “Highway Song” and even Molly Hatchet had “Fall of the Peacemakers.” So I asked myself, “Why?” The answer came when I listened to the track. 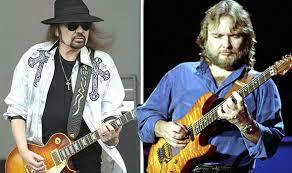 Molly Hatchet definitely do it justice. I mean, I have heard some awful attempts covering this classic and I wanted to take an Uzi to those pretenders but Molly Hatchet would have made Ronnie Van Zant proud. There is also a cover of the Allman Brothers classic, “Dreams I’ll Never See” and again, it’s nicely done. 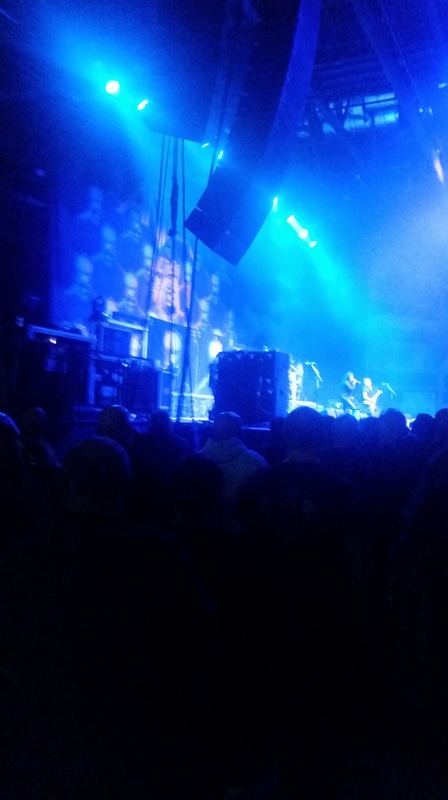 Like I said, “Double Trouble Live” nearly removes my regret of not having seen them live. 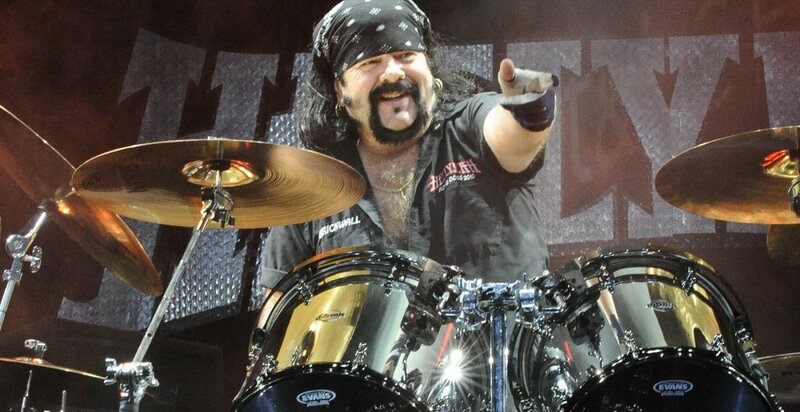 It has been said the “Double Trouble Live” is one of the best live albums of all time. It’s definitely one of the best in 1985. The only reason it’s not number one for the year as there is a definite contender as well but I’ll get to that one in due course. In the mean time, have a listen to a fantastic live album from Molly Hatchet. You too might not feel so bad if you haven’t seen them live.